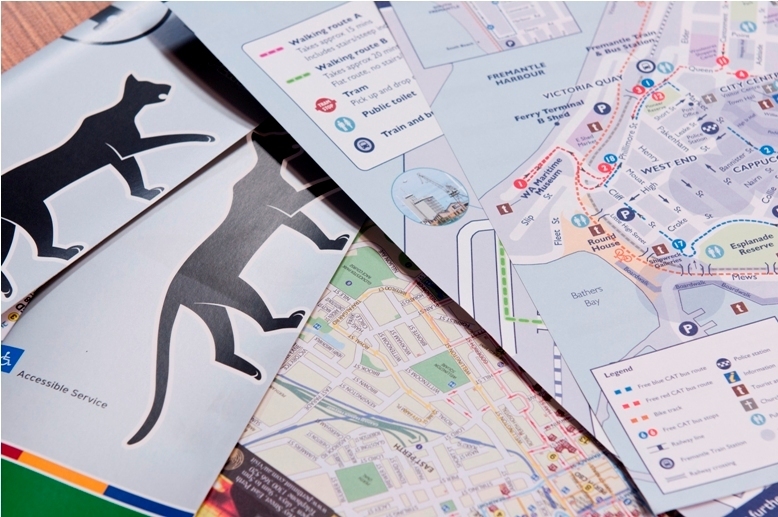 The Fremantle map highlights key landmarks, CAT bus transport routes, precincts and some of the free wifi areas in the Fremantle city centre. The map is available at the Fremantle Visitor Centre and at many locations throughout the city or visitors can download a copy here. The Fremantle CAT (Central Area Transit) is a free bus service that operates daily around the Fremantle city centre. The blue cat departs every 10 minutes and the red CAT departs every 15 minutes. The Local TravelSmart Guide is a comprehensive map that includes information for walking, cycling and using public transport in and around Fremantle. For information on sustainability in Fremantle and to download a copy of the 'good map Freo' visit the Freo Green Guide website. ride along the sunset coast-northern route (coastal zone from Burns Beach to Woodman Point). For more information and to download cycling maps go to the Department of Transport website. For information and maps on regional Western Australia visit our Explore Western Australia page.